THE Great Industrial Exhibition of 1851, now on the eve of closing, is an achievement, the beneficial effects of which are not for our own day only, but "for all time.” That congress of the highest practical and speculative intelligences of the various nations of the world, that vast assembling of natural products, of mechanical appliances, and of manufactured goods from all quarters of the globe, must have led to a reciprocation of individual experiences, an interchange of thought, which must add largely to the general store of knowledge, and an acknowledgment of relative commercial interests which cannot but promote the common weal of the whole human community. In this great mart of intelligence and wealth, the poorest of our fellows share equally, perhaps more largely, in proportion, than the richest in the land; for it is by the stimulus thus given to the energy and enterprise of the world that they must hope to improve their condition, and rise in the scale of society. And have not the millions who have flocked from the extremest end of the land to this great industrial gathering shown that they rightly appreciated its general importance; and have not their scrutinising inquiries in various departments,- each according to his calling or views, proved that they were determined to make the most of the valuable opportunities it afforded them. Yet, the advantages intended to society, through this great undertaking, will mainly depend upon the Record which is kept of important facts eliminated, and the valuable examples presented to observation. This record does not exist at present; and it is with a view to supply a desideratum which so obviously presents itself, and to perpetuate to the use of the intelligent and industrious millions all the more important facts and features of the world’s industrial fair, of scientific, as well as social bearing, that the present work is projected. 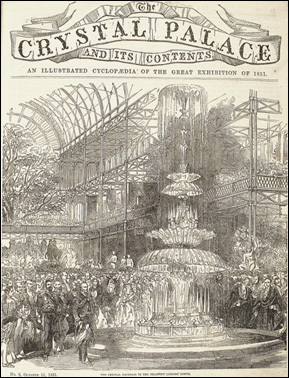 “The Crystal Palace” will contain well-digested accounts of all matters of enduring interest comprised in that great display, copiously illustrated with engravings, and published at a price which will place it within the reach of all readers. In order to render the work a complete record of this important, artistic, and scientific gathering, a Historical Sketch will be given, taking a complete review of all the events connected with the progress and accomplishment of this great National undertaking; from the first inchoate suggestion in 1845, to Prince Albert’s definite proposition in 1849, down to the final closing of the doors, and the adjudication of prizes in October, 1851. The subjects will be classified in groups as far as practicable, which will be continued under their several distinct heads from time to time, care being taken, however, to provide sufficient variety in each number. On the completion of the work an index will be given, which will render it available as a Cyclopaedia of Science, Arts, and Productions in 1851.